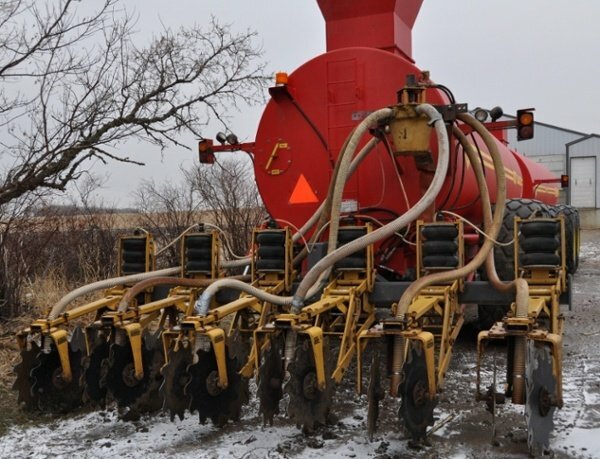 THE HONEY WARRIOR IS GREAT FOR INCORPORATING LIQUID MANURE IN YOUR TILLAGE STRIPS. GET IN THE ZONE WITH UNMATCHED FLEXIBILITY, DURABILITY, AND APPLICATION SPEED. 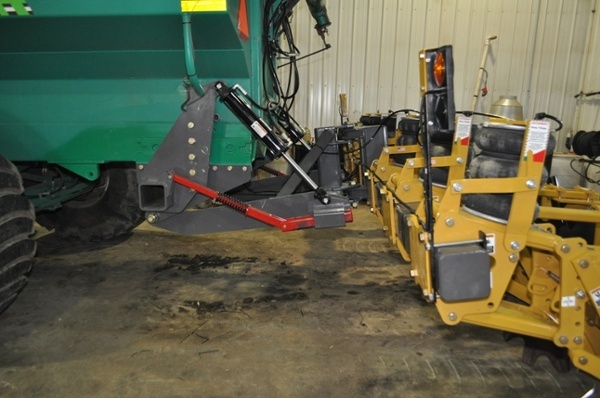 Works with SoilWarrior X row units which allow for up to 19 inches of vertical travel to easily roll over rocks and other obstacles. 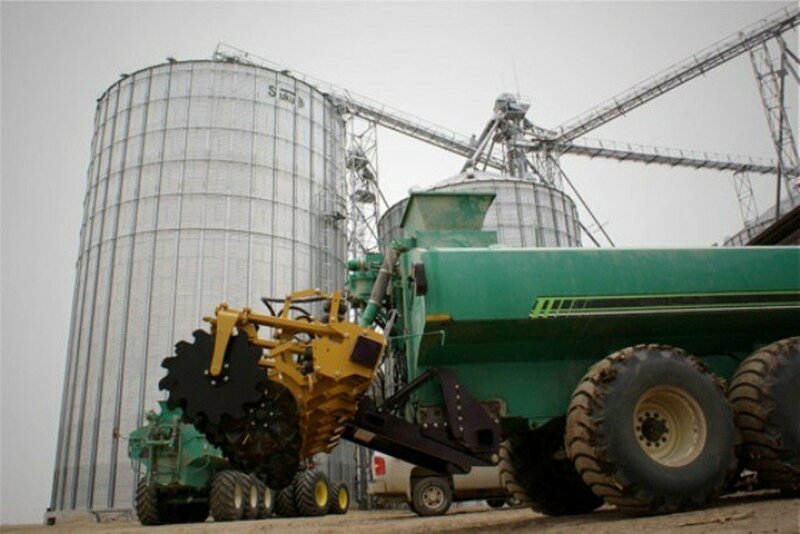 Heavy-duty air spring design allows for on-the-go adjustments from the cab to match field conditions. 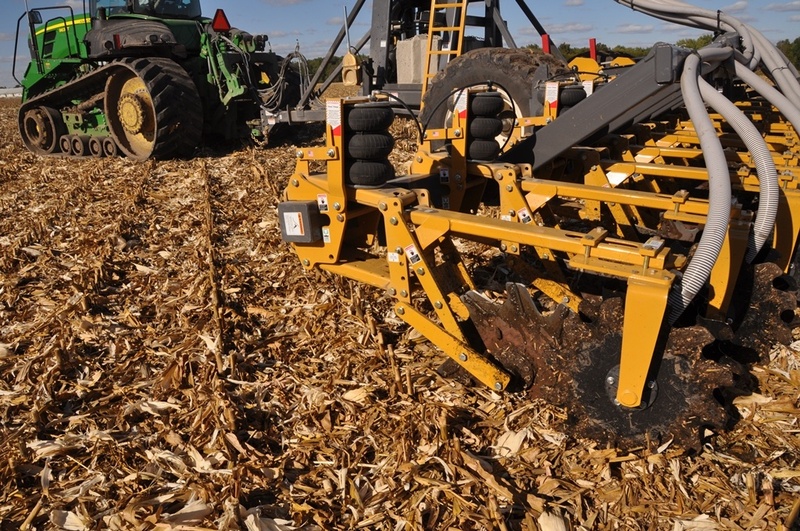 Cut through tough residue like corn stalks, pasture alfalfa, grain stubble, and even hard pack conditions without plugging. Build zones in most soil conditions - wet, dry, and rocky. 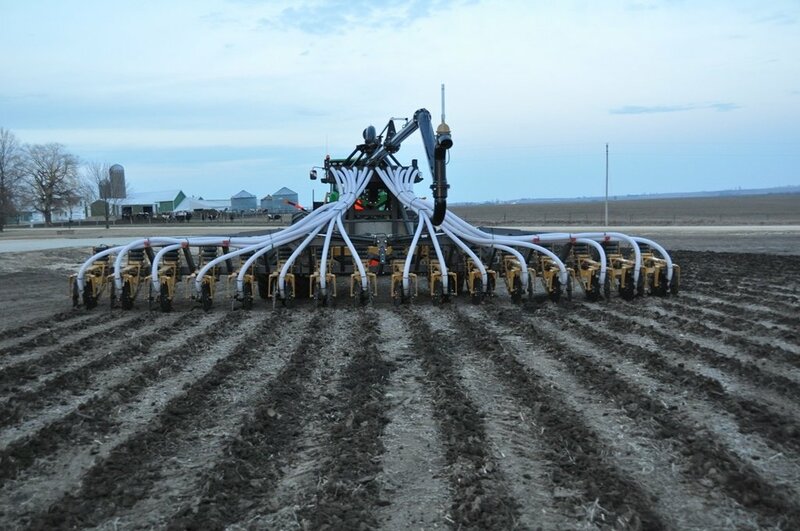 Oil bath hubs are standard on all of our row units. 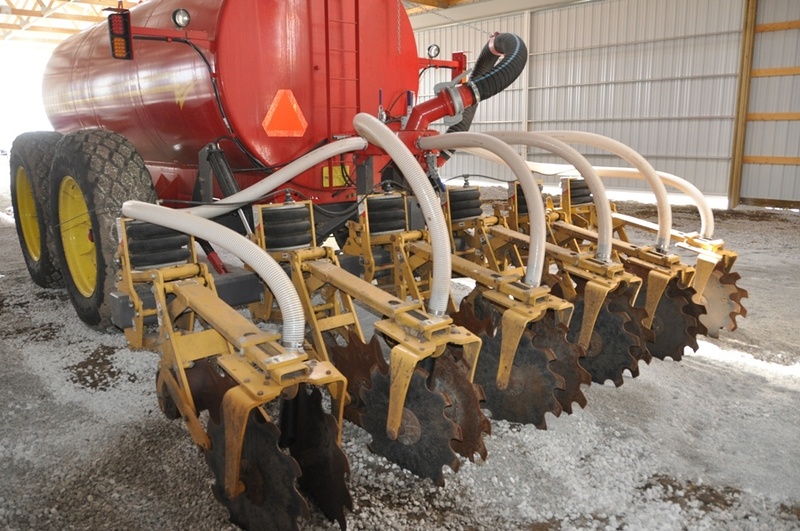 The unique seal and tapered roller bearings are bathed in oil for extended use. 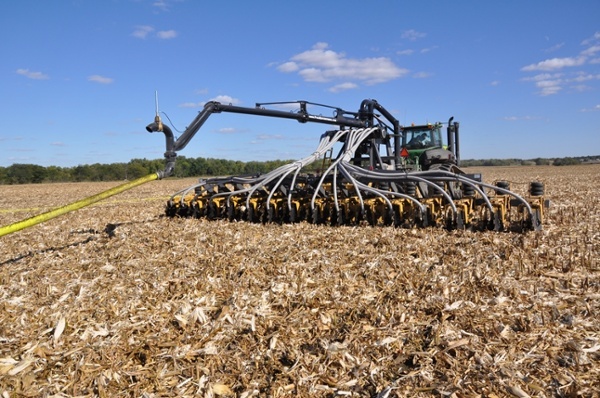 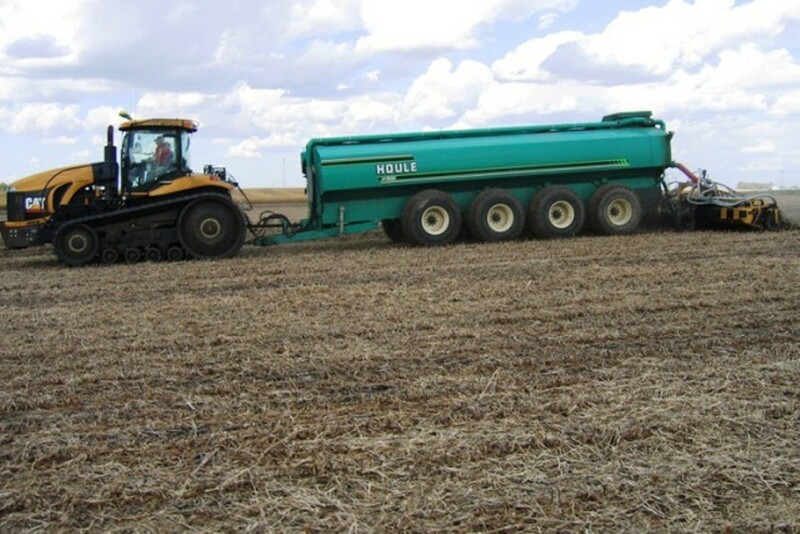 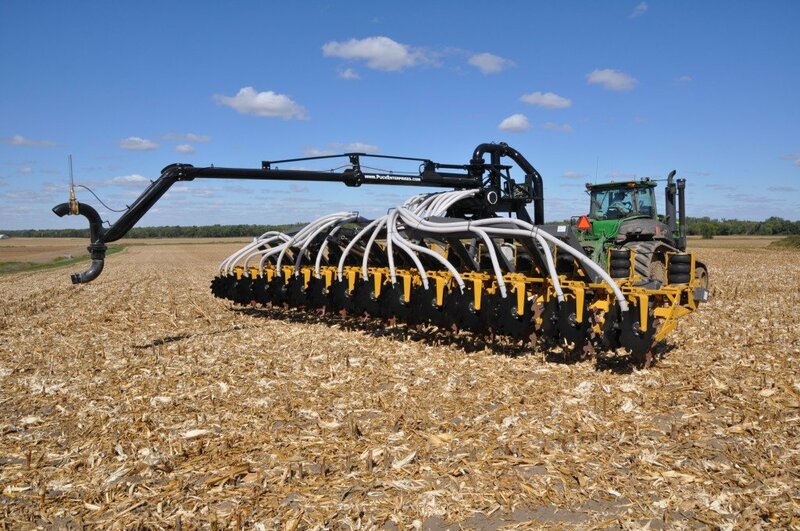 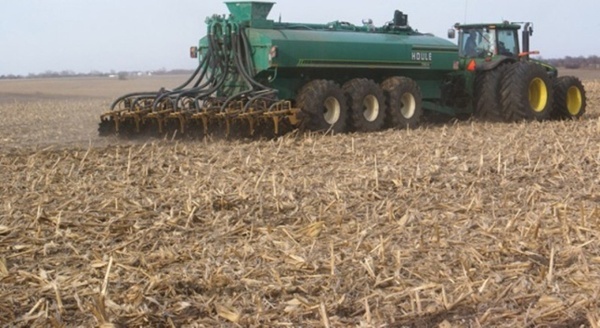 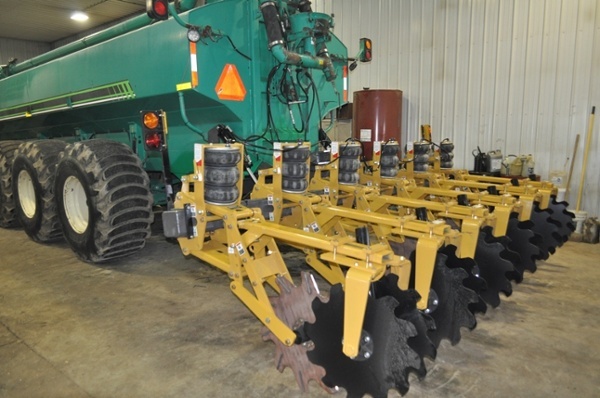 Up to 12″ of deep vertical zone tillage and liquid manure application. 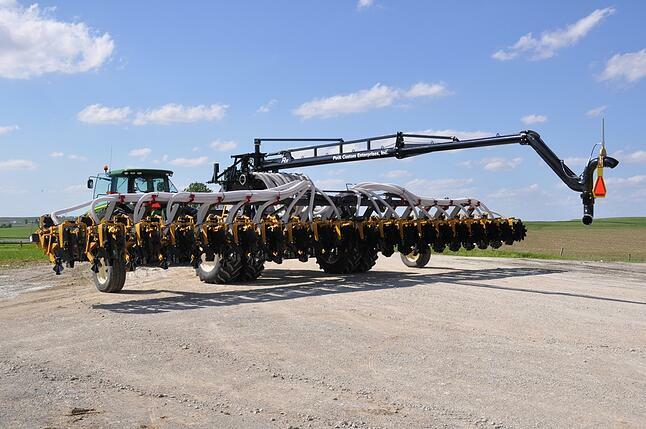 Folding 4500 series toolbar available in widths of 30 or 40 ft. Max width depends on row unit. 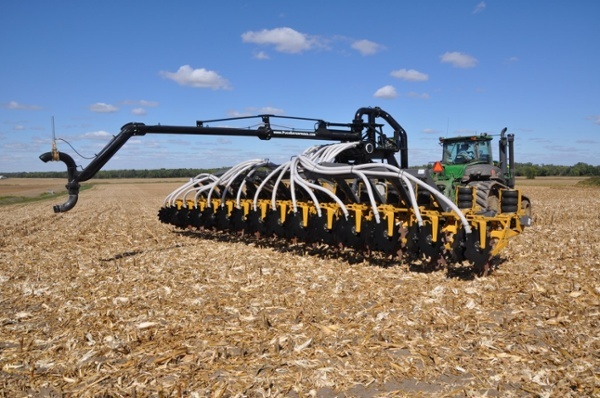 ETS recommendations for tractor hp depend on the row unit configuration. Mount row units and pivoting lift frames to Nuhn or Houle brand tanks. ETS partners with Puck Custom Enterprises (PCE) to complete the system with distribution manifold and swing pipe. Uses Krohne 8-inch electromagnetic flow meter completes the package for highly accurate measurement.